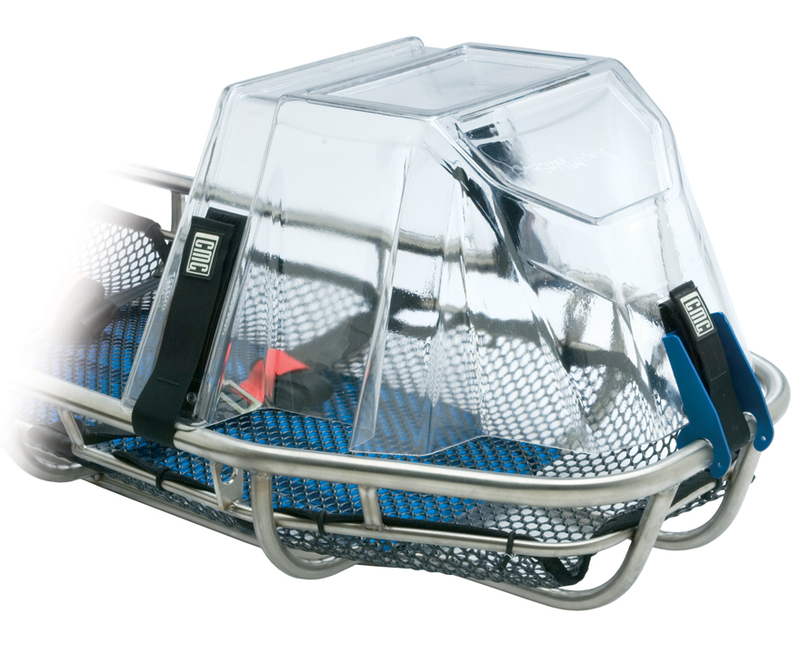 Protect your patient from further trauma during litter evacuations and carry-outs with our Litter Shield Plus. Since its inception, this device has made several “saves” by deflecting falling rocks away from patients’ heads. The shield not only provides protection from falling rocks and debris, but also protects against inclement weather and brush without compromising access to and visibility of the patient’s head. The Litter Shield Plus is taller so it provides more room for a patient on a backboard or litter insert, and helps to reduce the “closed-in” feeling experienced by some patients. The mounting bracket eliminates the need for a railing clamp on the litter and allows the shield to fit most litters. Molded of thick Lexan®, the Litter Shield Plus offers impact resistance with the clarity and weatherability of glass. Patient comfort is increased due to the reduced need for other head and face protective equipment.